On Sept. 14, Hurricane Florence made landfall nearby while Carolina Beach residents were under a mandatory evacuation. As Hurricane Florence sat over the entire region for two days, all anxiously waited to get back on the road to recovery as soon as possible. While Carolina Beach endured the storm, the area overall fared well. Shortly after, Snow’s Cut Bridge re-opened and residents returned. Some businesses along the Boardwalk were still making structural repairs while others were open and ready for customers. Two weeks after Hurricane Florence, normalcy has returned to Carolina Beach. The boardwalk swings are once again a place for visitors to sit and watch the waves. With Carolina Beach rebounding and a wide array of upcoming events and festivals, now is the perfect time to start planning your trip. Please be sure to contact accommodations and attractions directly if you have questions regarding availability. Fall is a great time for fishing at Carolina Beach. Located in the heart of North Carolina flounder and red drum territory, The Fisherman’s Post Carolina Beach Inshore Challenge, Oct. 12-13 at Inlet Watch Marina, is a fun event for all levels. Pleasure Island Surf Fishing Challenge, Oct. 19-21, provides the opportunity to reel in the catch of a lifetime with over $20,000 in cash and prizes. 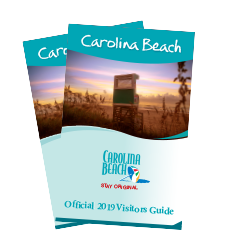 Take advantage of ideal temperatures and spend a day exploring Carolina Beach State Park. Nearby events on the island include the Fort Fisher Fall Festival to celebrate all things autumn. Get a spook on the guided Fear at Fort Fisher Haunted Trail Tour or take the little ones to experience a truly special Halloween at Trick or Treat Under the Sea at the N.C. Aquarium at Fort Fisher. The highly-anticipated Cape Fear Kite Festival takes flight Nov. 3-4 with professional and amateur ‘kiters’ taking to the sky. The annual Island of Lights: Lighting at the Lake, features one mile of twinkling, yule-tide themed décor signaling the start of the Holiday Season. From live music, cold brews and water views to grab-n-go sandwiches, local provisions and even a five-star dinner and night out, many notable local restaurants and bars have re-opened to the public. 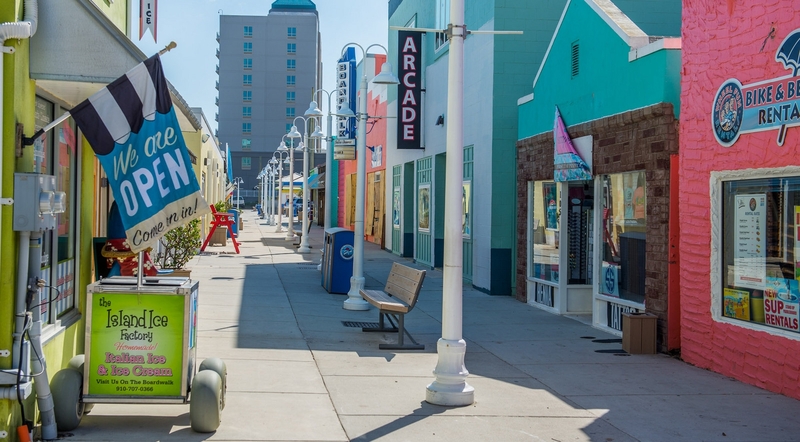 A quick recovery and renewed sense of community has helped Carolina Beach bounce back as colorful as it was before. Plan your fall trip now with our guide to seasonal highlights. While planning a visit to Carolina Beach is a great way to help the local economy, many residents are still rebuilding their lives after Hurricane Florence. Read about more ways to help those still in need and recovery here.